The International Thespian Society (ITS) is the Educational Theatre Association’s student honorary organization. ITS recognizes the achievements of high school and middle school theatre students. 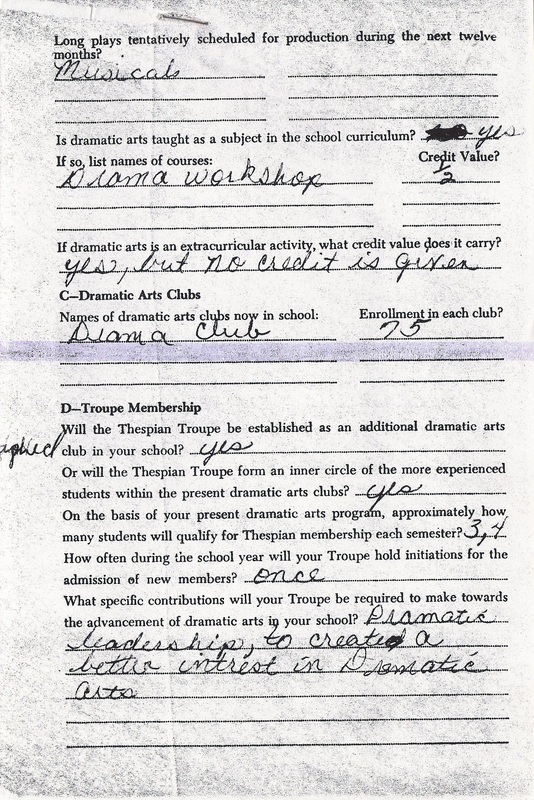 Since 1929, EdTA has inducted more than 2 million Thespians into ITS. That number continues to grow, with more than 36,000 students from around the country being inducted each year. The mission of ITS is to honor student excellence in the theater arts; its motto is, "Act well thy part; there all the honor lies." Thespian troupes include students in grades 9-12. 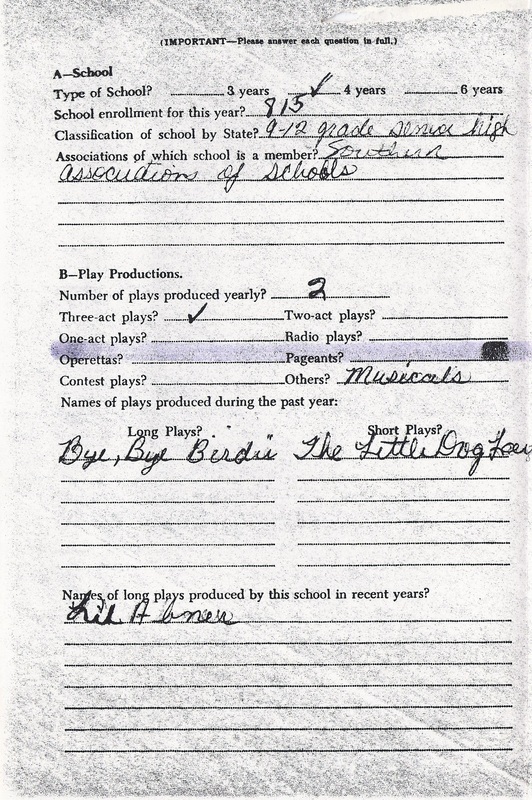 There are troupes in more than 4,000 high schools and middle schools. High school students can earn membership in EdTA’s student honorary, the International Thespian Society, the only international honor society for high school and middle school theatre arts students. Members of ITS, called Thespians, receive EdTA’s publication, Dramatics, a monthly magazine that features new plays, practical articles on acting, directing, design, production, and profiles of working theatre professionals. In December, Dramatics releases a directory of college theatre programs to help the aspiring Thespian make the transition to college. Thespians also receive member pricing on resources and Thespian spirit items. Throughout the year, Thespians participate in chapter events with others from across their state. Each summer, Thespians from all over the country take part in the annual Thespian Festival. Thespians see some of the best high school theatre on the Festival main stage while also sampling a variety of workshops in everything from dance to acting to mime to commedia. Also at the Festival are colleges and universities scouting potential students. Between shows, Festival attendees can wander among the booths and even schedule a time to audition for schools and scholarships. 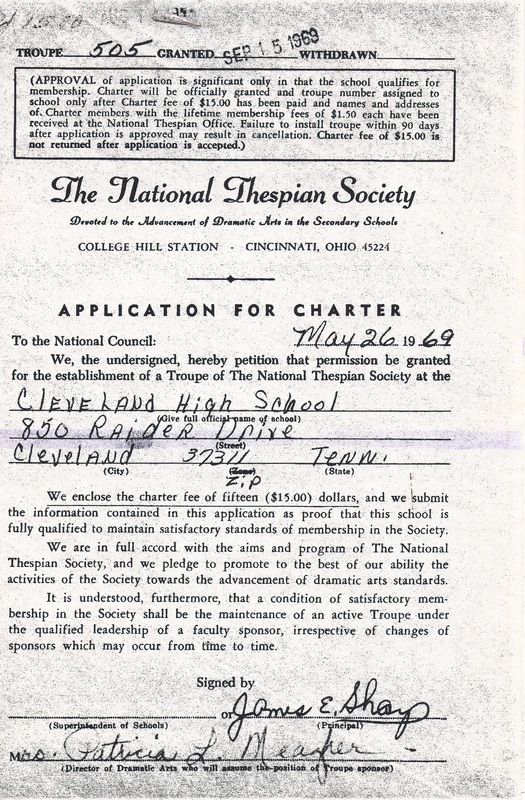 Cleveland High School chartered its first Thespian Troupe in 1969 under the leadership of Patrica Meagher. The charter was lost and was reinstated in 1999 under the direction of Patty Puckett. The Thespian Troupe is currently under the direction of Don Markham. Cleveland High Thespians meet before school in room 514. 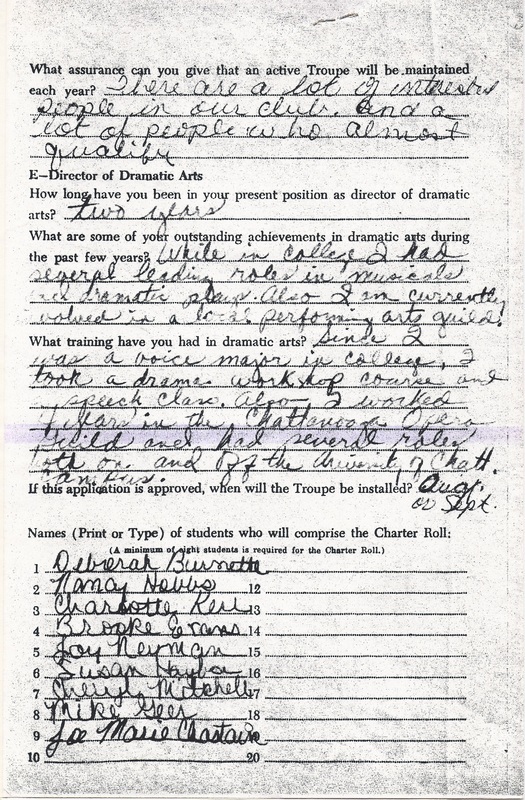 Other students interested in theater are allowed to attend meetings but not formally a Thespian until inducted. Inductions are generally held twice a year, December and May. Induction dues are collected before induction.